At Options Skills, we pride ourselves on the excellent training courses we deliver in our fully-equipped training centres across the country and the exceptional support we provide to all our students. Passionate about the trades and aware of the career prospects it offers, we aim to help our students any way we can. With a whole host of benefits and extras available already, we’re now adding something else to that list. Our students will be eligible for a discount with one of the UK’s leading scheme providers. 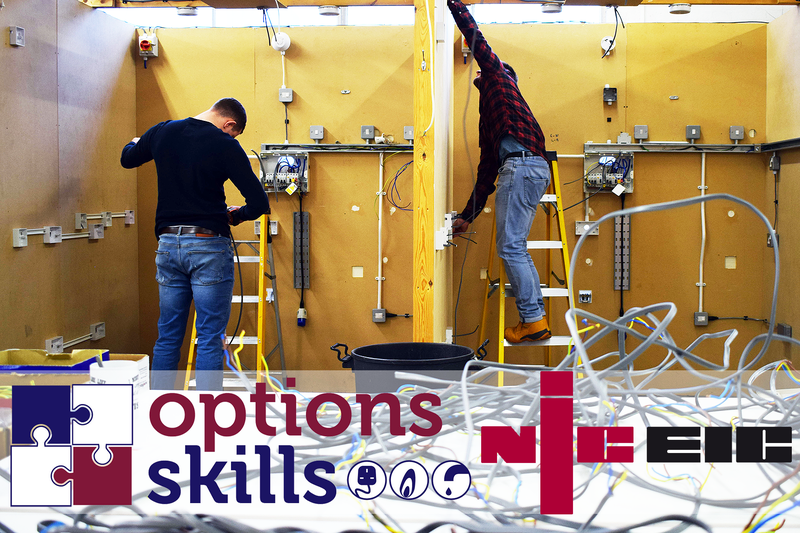 For a long time, Options Skills have worked closely with the National Inspection Council for Electrical Installations Contractor (NICEIC). 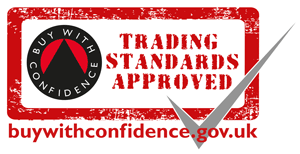 The NICEIC is one of the UK’s most well-known regulatory bodies of electrical enterprises. NICEIC know that we provide high-quality training courses and support our students. Because of this, they’re offering a discount to the electrical students of Options Skills. When you complete your Domestic Electrical Installer Award – earning your DEI and 18th Edition Wiring Regulations – you will be ready to apply for membership of a Competent Persons Scheme such as NICEIC. Competent Persons Schemes allow an individual to self-certify that their work complies with building regulations. Usually, this would cost you £445 +VAT. However, thanks to our partnership with NICEIC, they’re offering our students a discount of £50. This means the cost of your first year’s membership drops to just £395 +VAT. 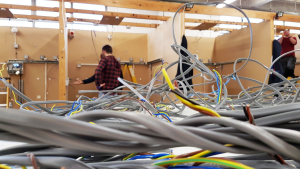 Our Logic accredited Domestic Electrical Installer Award training provides students with the practical skills, theoretical knowledge and experience to complete domestic electrical installations. After completing the course and joining a competent persons scheme, students will be legally able to complete electrical installations in a domestic dwelling. This makes it the perfect course for those just started out in the electrical industry. It can also be a huge benefit for home-renovators and landlords. If you would like to know more, complete our online contact form to request a callback. Alternatively, speak with one of our course advisors on 0800 802 1306.